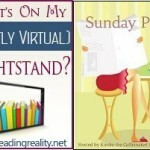 Review: The Blushing Bounder by MelJean Brooks – Escape Reality, Read Fiction! Formats available: ebook, paperback (in Novellas & Stories). 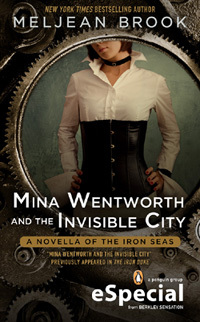 Series: The Iron Seas #0.4. Date Released: November 26, 2013. Purchasing Info: Author’s Website, Goodreads, Amazon Barnes & Noble. In The Iron Duke, Constable Newberry helped save all of England. But before the events of that novel, Constable Newberry’s faced a danger of another kind: to his heart, by the woman forced to marry him. What will it take for this prudish bounder to convince his wife to stay? The worldbuilding in The Iron Seas is top-notch and keeps me coming back for every installment. Which gets me to poor Constable Newberry, who, despite his status as a Blushing Red Giant, always manages to fade into the background. Unless he is being mocked by another character. They made good time to his small, cozy flat on the second level of a converted mews, where Newberry’s sensible—and very pregnant—wife asked him to cut and wrap hunks of cheese, bread, and salted boiled eggs while she chatted with Mina. Newberry blushed for a record length of time after Temperance checked on his progress and complimented his skillful use of a knife, then again when she laid a farewell kiss on his cheek. It’s only 50 pages. There is no Kraken to battle, Slavers to defeat, or Zombies to slaughter. It really is just the story of how Newberry got his groove back. Which means that I was forced to admit I was reading – and enjoying – a romance. GODDAMNIT. I’m not saying the story is flawless. It’s really not. As with many a romance, it generates conflict by the characters failing to discuss a Super Important Issue that really could have been resolved with one or two sentences. As it ultimately was. Despite this, I found myself entirely engaged in Newberry’s relationship with his wife (thank god they didn’t name her Prudence), and invested in the outcome of the story. Especially since Mina was there to mock the Bounders. Poor Newberry, nobody wants to be branded a epic moron on their first day. Though this does explain why he elects to remain silent through much of the series. Escape Rating: B- for forcing me to reconsider my ban on all things romance. Any fan of The Iron Seas will enjoy this prequel story, though I would not recommend it as a first outing into the series. In such a constrained space there is not a lot of room to explain the complex world we’re playing in. 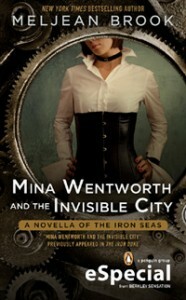 *Quote from Mina Wentworth and the Invisible City. A short story that takes place shortly after The Iron Duke, and is, once again, unapologetically romantic in nature. Though it will be a worthwhile read for anyone who thought Mina’s story ended just a tad abruptly, it was tragically short on zombies. Great review Cass, thank you! I am not a fan of this series, but I would like to read this one. 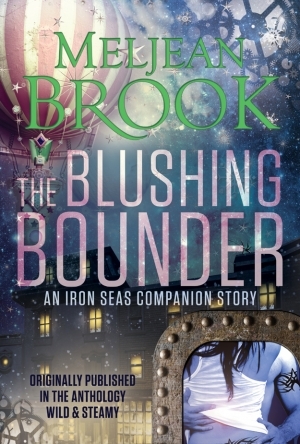 This is probably a good one for people not a huge fan of The Iron Seas – since it doesn’t spend nearly enough time on Nano Zombie Kraken Sharks, and instead let’s two people escape from a ridiculously prudish society and get laid.